It is currently a legal requirement that prior to the sale or letting of a residential or commercial property in England & Wales that an Energy Performance Certificate (“EPC”) be made available to the prospective buyer/tenant. An EPC should also be commissioned where a new property is built, an existing property is significantly altered, if a property is subject to a Green Deal and for certain public buildings (where it is mandatory for a copy of the EPC to be displayed). 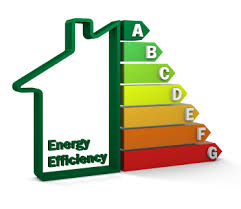 An EPC is a certificate that assesses a buildings energy efficiency rating. The rating runs from “A” (being the best rating) to “G” (being the worst rating) and is similar in appearance to the stickers you may find on electrical goods such as a fridge, television or washing machine. There will also be a number from 1 to 100, with a higher number representing a more efficient building which means the energy bills should cost less. The EPC certificate will also provide an estimate as to how much it would cost to heat and power the building along with recommendations as to how to improve the energy efficiency of the building. If an EPC is commissioned, it is “valid” for a period of 10 years and where a new EPC is registered for the same property, the previous EPC becomes redundant. to make available to the prospective buyer or tenant a valid EPC for the property. It is also the property owner’s responsibility to commission the EPC and the property owner should not look to reclaim the cost of commissioning an EPC from a prospective buyer or tenant. Listed buildings and buildings in conservation areas, but only in certain circumstances. Commercial properties – 12.5% of the rateable value of the building, with a minimum penalty of £500 and a maximum £5,000. A useful table detailing the possible penalty charges can be found at https://assets.publishing.service.gov.uk/government/uploads/system/uploads/attachment_data/file/508827/1600315_enforcement_guidance_Final.pdf. It is therefore important to ensure that an EPC is provided to a prospective buyer or tenant as early as possible in any property transaction so as to avoid being fined by the local weights and measures authority. by telephone on 0161 330 6821.